Thermos mug in stainless, with isolated vacuum, glossy finish and plastic closure in black / grey. Capacity: 500 ml. Height: 24.5 cm. Diameter: 6.8 cm. 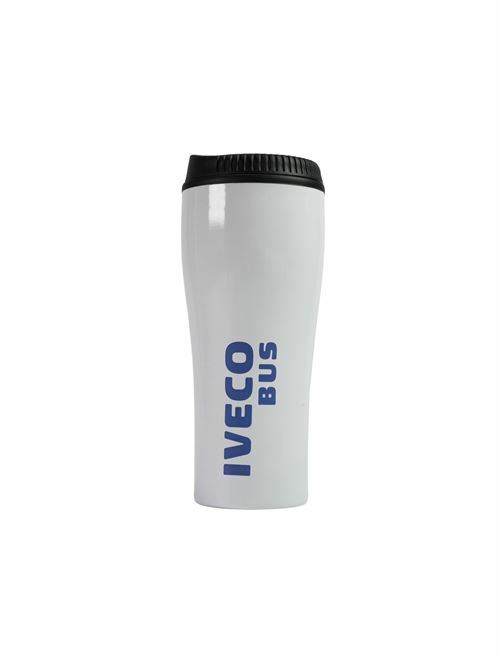 Printed Iveco Bus logo. Packaging: white cardboard box with printed Iveco Bus blue logo.